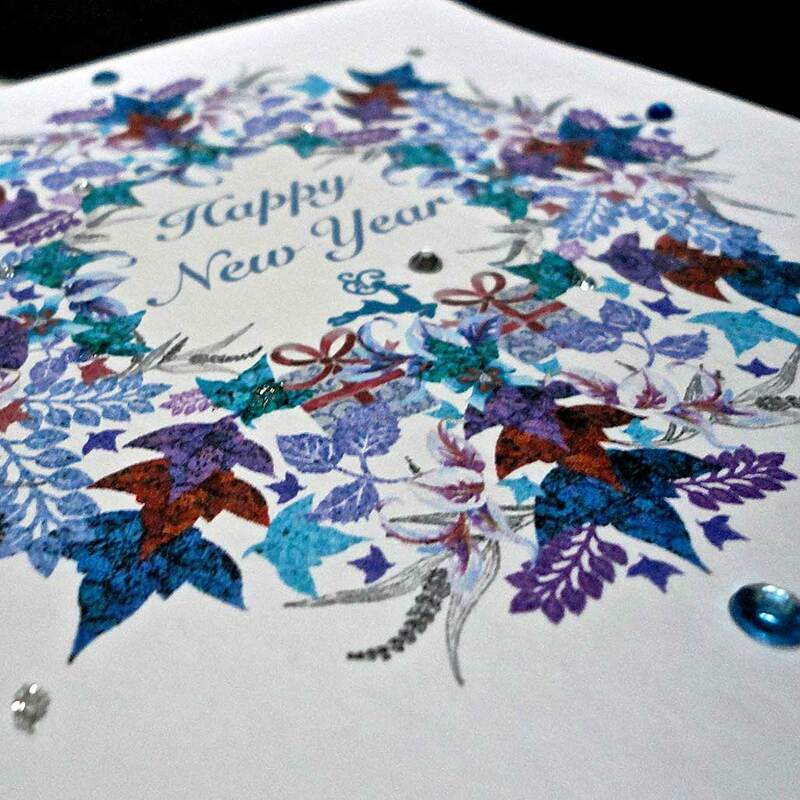 This beautiful festive garland has a very contemporary feel and is a cool way to your best wishes for the New Year, with its tones of blue, turquoise, emerald, purple and wine. 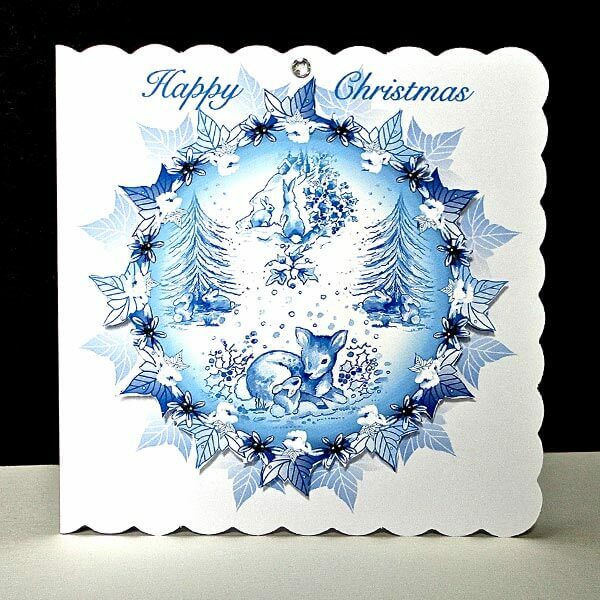 The textured leaves form a circular hollow garland display with the text Happy New Year and a tiny reindeer in blue that is centrally placed. 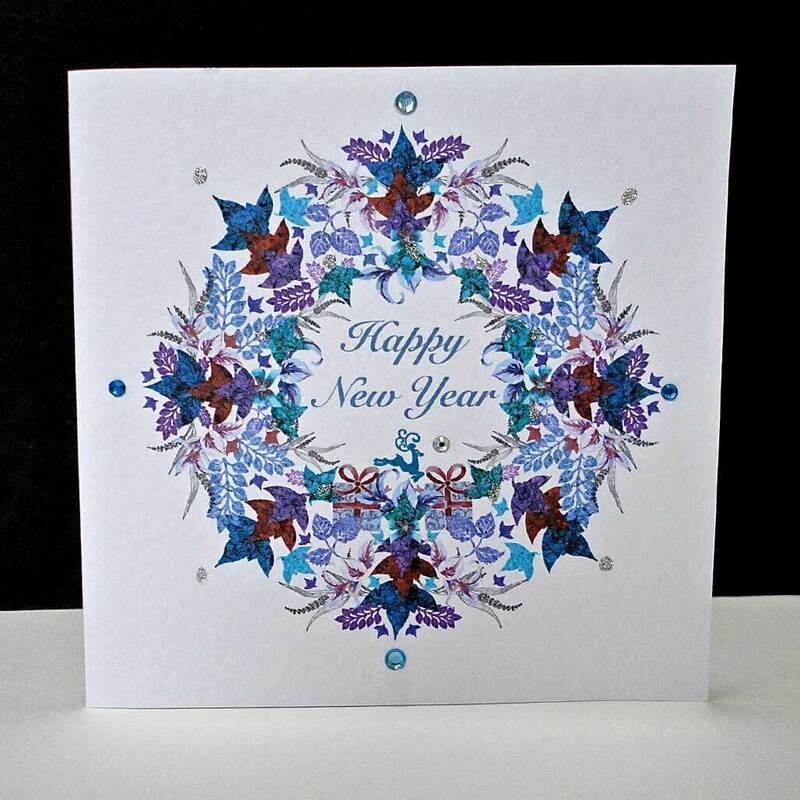 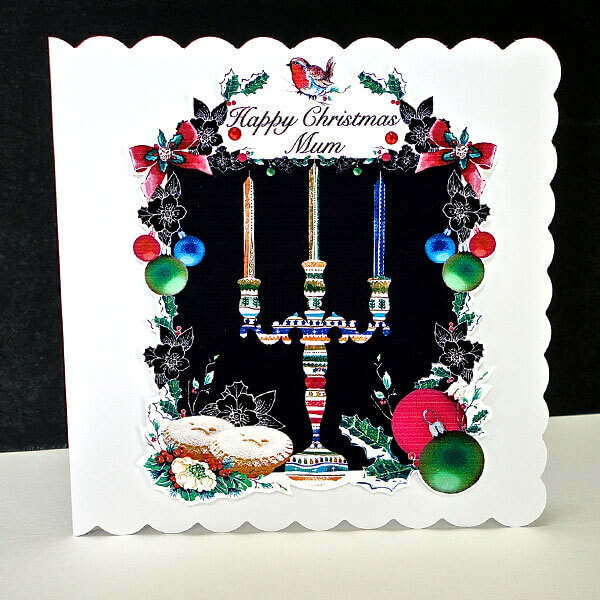 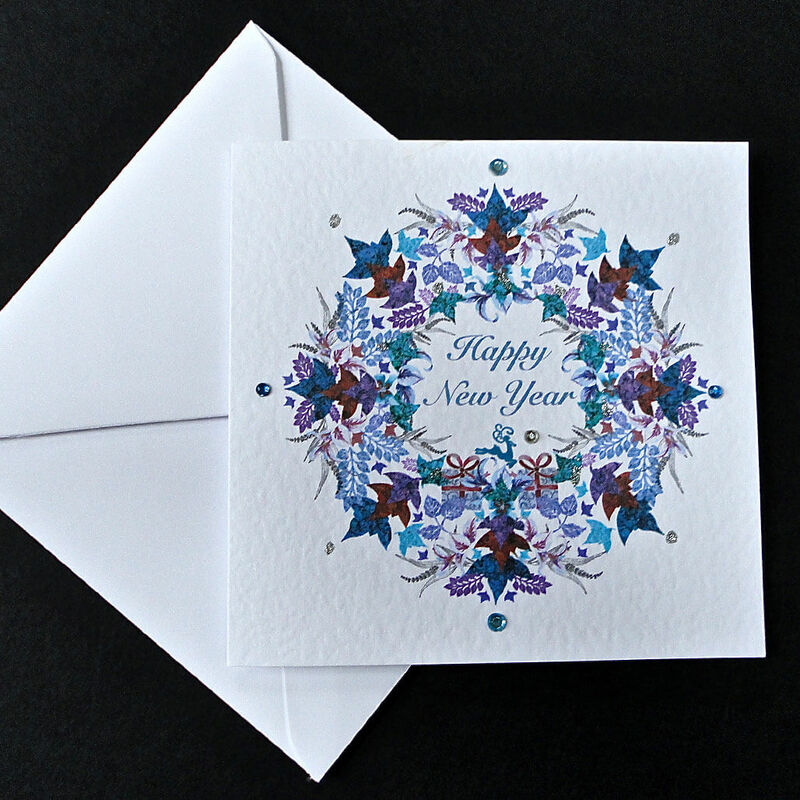 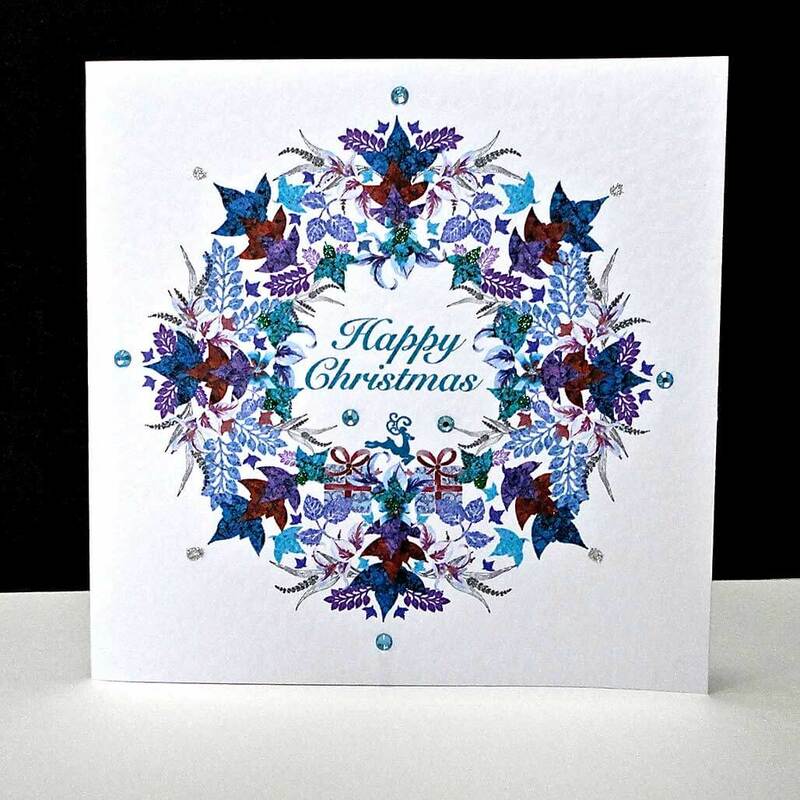 This card is printed at home on a white card and completed with green and silver glitter and pale blue glass gems, reflecting and highlighting the colours of the design. 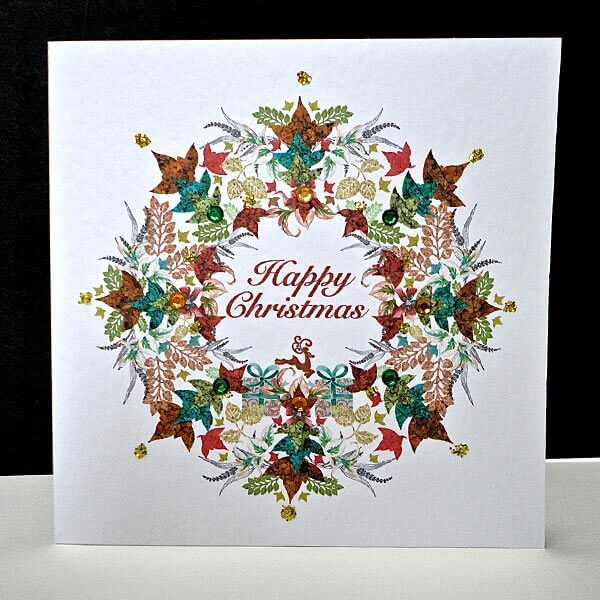 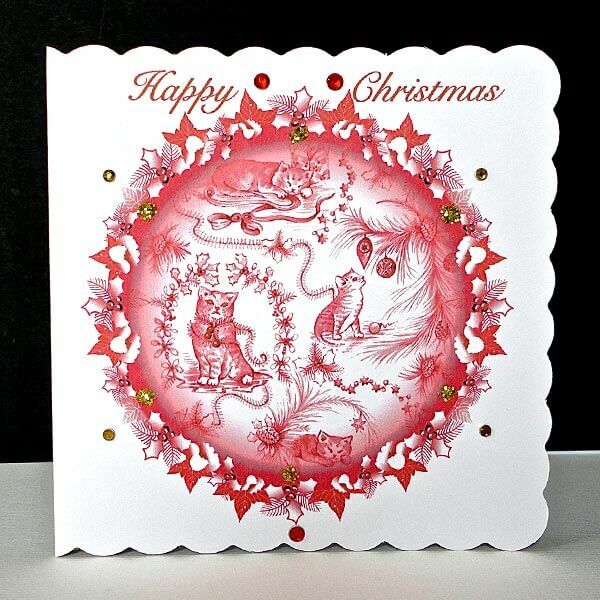 Also available saying Happy Christmas.